The Great Ocean Road is one of the most scenic coastal drives in the world, it’s really a must do experience if you are visiting Victoria. With beautiful beaches, spectacular vistas, lush forests and wild life encounters, it’s really a journey you will never forget. 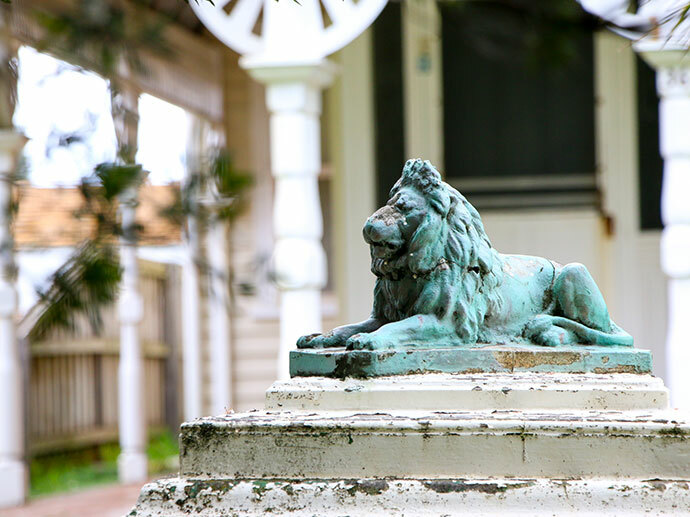 But there is a little hidden gem waiting for you at the end of the road which is a well kept secret amoungst us in the know – the historic town of Port Fairy. Many travellers get as far as the Twelve Apostles and then head back to Melbourne, totally missing this tranquil little fishing hamlet only an hour away. In the height of summer and during the famous Port Fairy Folk Festival, the town is abuzz with beach goers and music lovers. The atmosphere is vibrant, but it’s also crazy busy as the local population increases from around 2000 to over 40,000 during folk festival! The Mr spent many a summer holiday camping in Port Fairy as a kid. 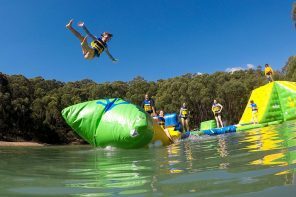 Whenever we’ve been back in the past, it was always during summer with most of our days spent exclusively at East beach playing in the waves or hanging out at the Gardens Caravan Park. 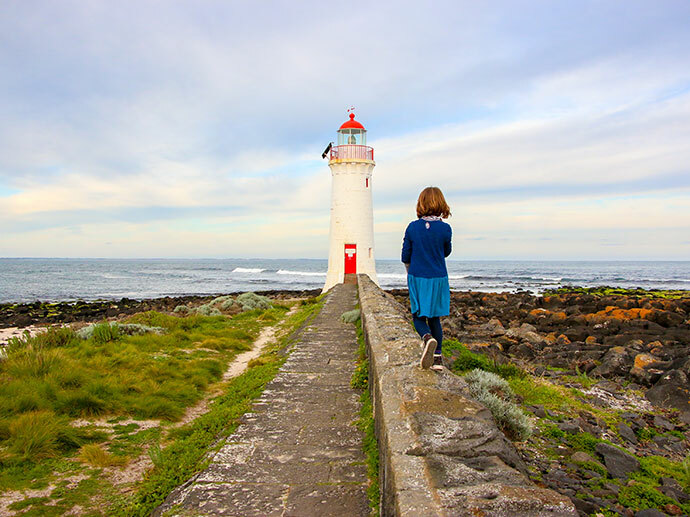 Summer in Port Fairy is a ton of fun, but if you really want to experience the essence of what this little historic pocket of Victoria is all about, visit when it gets a little quieter. A rejuvenating weekend escape was just what we needed, a bit of slow time with some room to breathe. 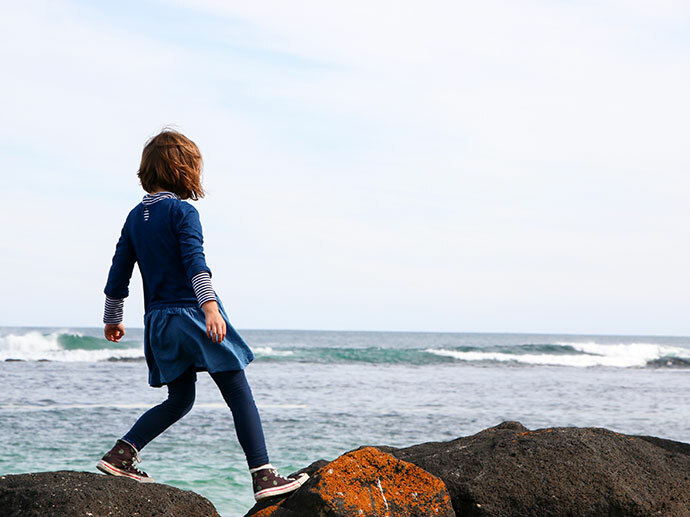 Three days in Port Fairy was the perfect opportunity to reconnect as a family and come home feeling refreshed. 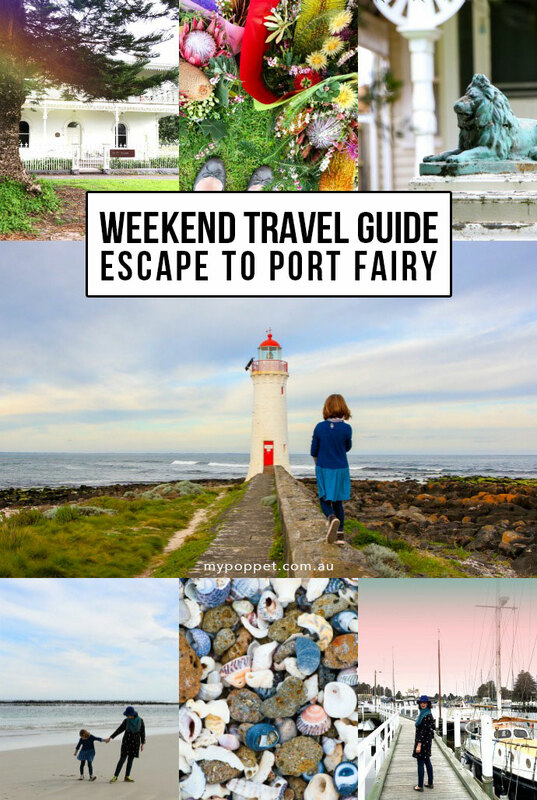 We recently had the pleasure of visiting Port Fairy during the September school holidays and I’ve put together a little travel guide with my recommended experiences. 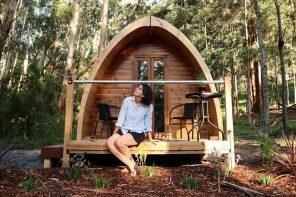 There is a huge variety of accommodation options in Port Fairy to suit any budget, from campsites to luxury boutique B&Bs. 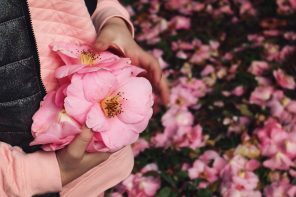 During peak season you’ll have to book early (even for a caravan site), but in the off season you can take your pick of the best the area has to offer making Autumn, Winter and Spring an ideal time to visit. 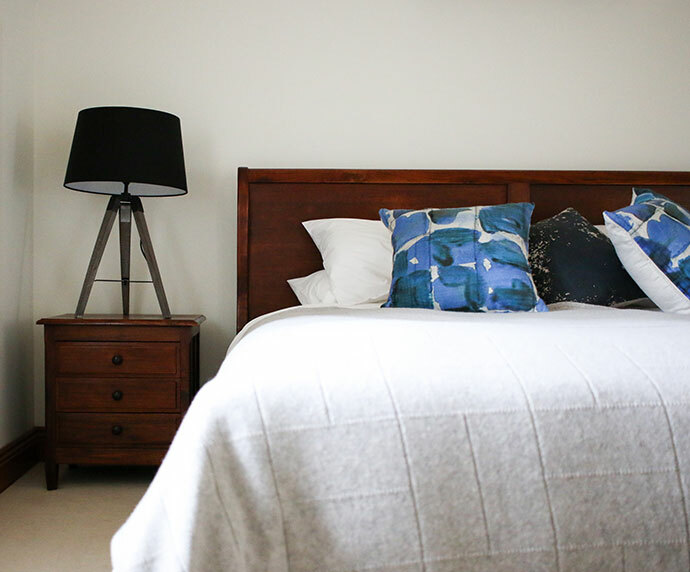 We stayed at 54 on Bank – a little piece of affordable luxury conveniently located in the heart of Port Fairy. Choose from three styles of self contained units ranging from Queen Suites that sleep 2, ideal for a romantic getaway, to the Premium Cottage which is big enough to accommodate 5. 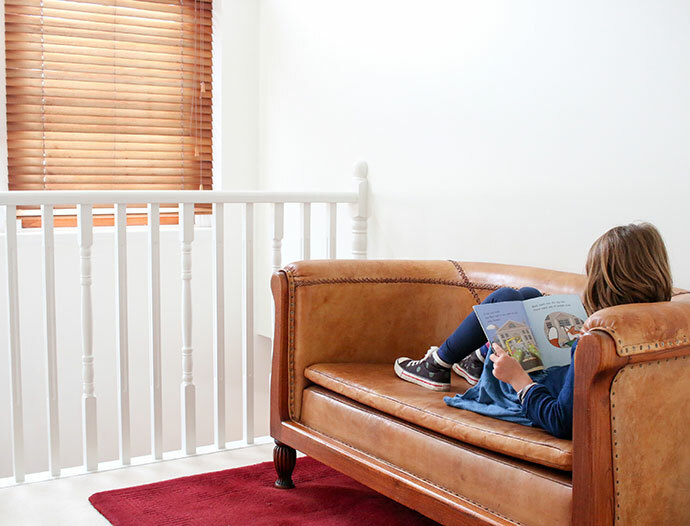 My little family of 3 had the pleasure of enjoying the Cottage for 2 nights and we found it very comfortable and the perfect place to unwind during our stay in Port Fairy. 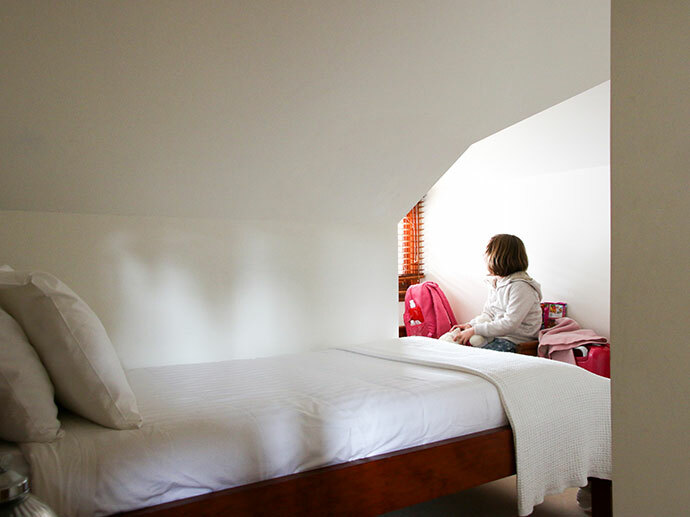 Emma loved her little bedroom nook and we all enjoyed walking to dinner every evening. 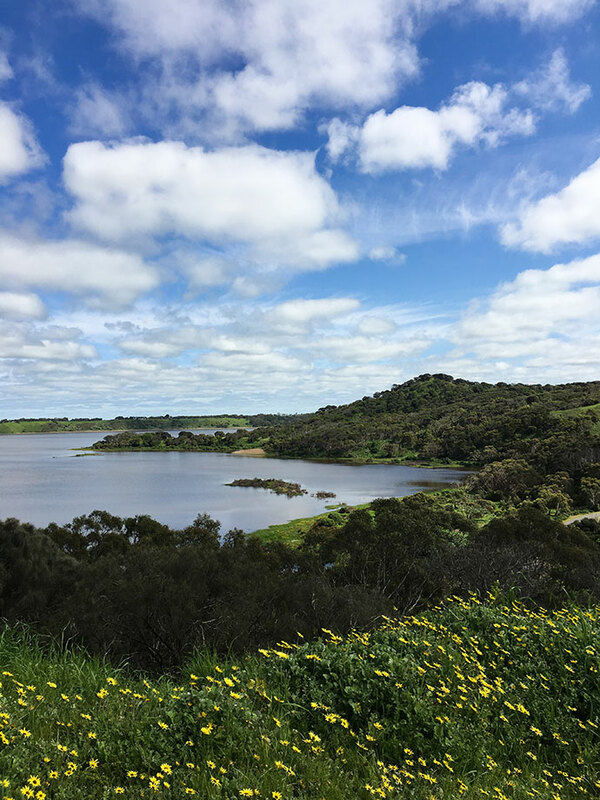 If you are looking for a relaxing place to unwind for a few days or something a little more active, you’ll find something to suit your energy levels in Port Fairy. Soak up the stunning views, learn about local history, or take a hike in a dormant volcano. 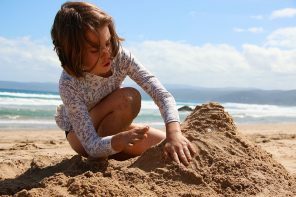 Kids will love playing on the beach (even in Winter) and there are plenty of playgrounds, both natural and man-made to keep them entertained. 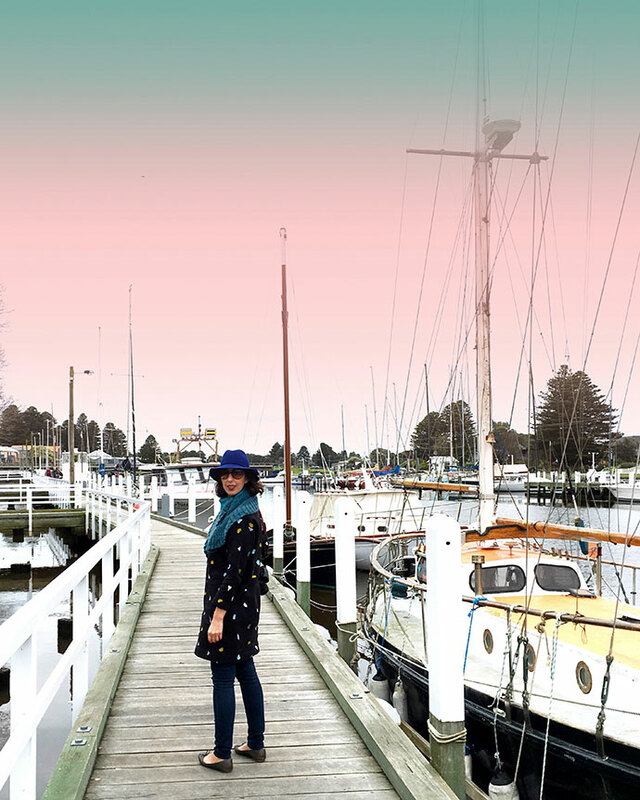 Here are a few things we really enjoyed doing during our stay in Port Fairy. Port Fairy boasts wide streets lined with nineteenth century cottages, great Norfolk pines and old stone churches. 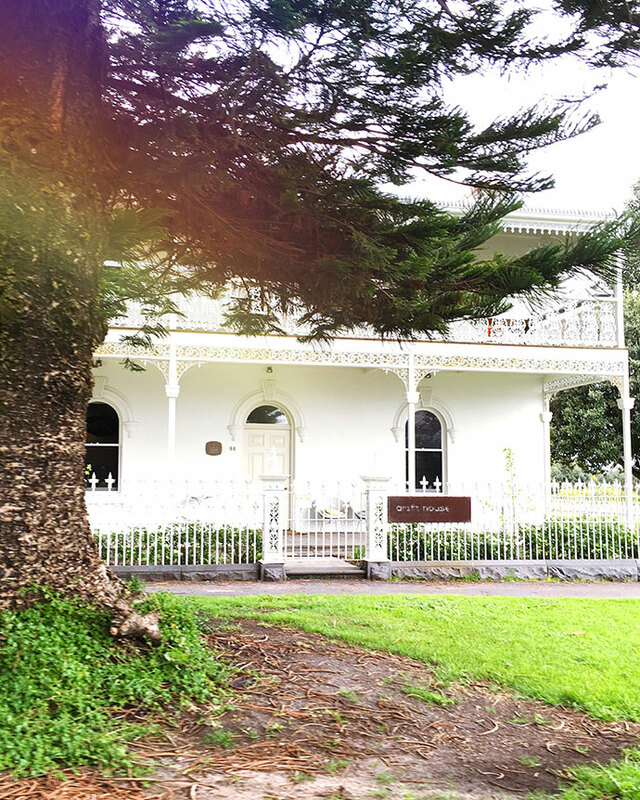 With more than 50 buildings classified by the National Trust and many fine examples of 1800s architecture walking around Port Fairy feels like you are stepping back in time. Grab a Historical Walks Map from the tourist information center and immerse yourself in the town’s history. Spring is the perfect time to enjoy Port Fairy’s beautiful gardens. Take a walk down to Port Fairy’s historic working port, still one of the busiest fishing ports in Victoria. If you are there at the right time, watch as the fishermen unload their catch. 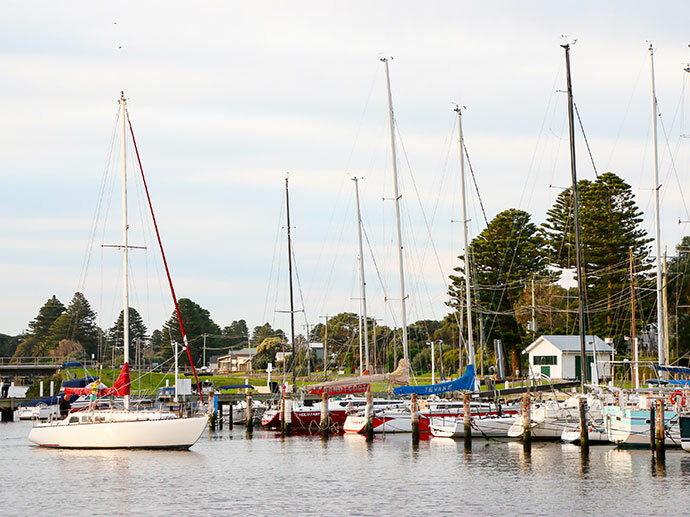 Located at the mouth of the Moyne river the wharf is lined with sailing boats and fishing craft, and you can enjoy good views of river activity from the footbridge over the river at the end of the wharf. Kids will love seeing the fishing boats close up. 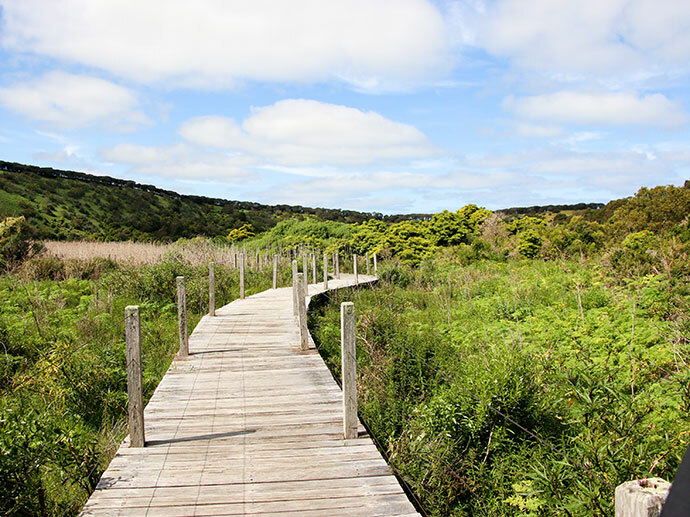 Enjoy an easy walk around Griffiths Island which is home to so many types of wildlife. You’ll find colonies of sea birds, wallabies and if you are lucky, you may even spot an echidna. The walking track circuit winds through low lying scrub and in some sections will take you over secluded beaches with the highlight being the historic bluestone lighthouse built in 1859. It still functions today with a solar powered light and a wind assisted generator. Allow about 1-1.5hrs for the total circuit. If you are visiting in January, keep an eye out for snakes. You’ll pass it on the way into Port Fairy without even realising the wonder that lies within. 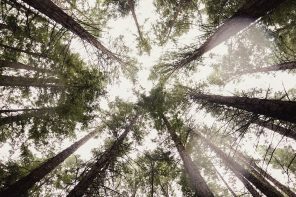 Tower Hill is a wildlife reserve nestled in a dormant volcano crater. Declared a national park in 1892 (Victoria’s first), you’ll find all sorts of iconic Aussie wildlife here. 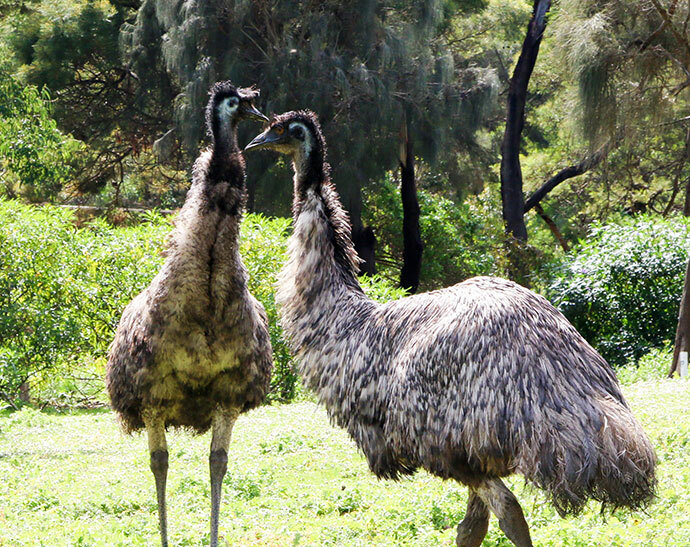 We got up close and personal with emus and koalas, as well as lots of birds and reptiles in the wetland area. 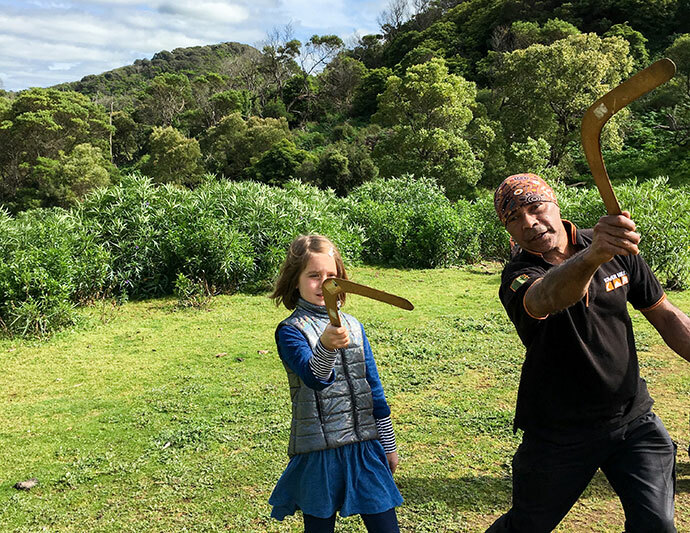 Take a guided walk with a knowledgeable indigenous guide to learn about Aboriginal history and cultural heritage, bush tucker and even how to throw a boomerang. Our experience at Tower Hill was Emma’s number one highlight of the weekend. Worn Gundidj guided tours are available everyday at 11am and 1pm (or on request). Tower Hill Wildlife Reserve is open the public 24 hours a day, 7 days a week and facilities include walking tracks, picnic & BBQ areas and an information center. Port Fairy is a culture and arts hub which has a vibrant community of artists and craftspeople. Grab an Art Map from the information center or any gallery and explore the town’s creative side. 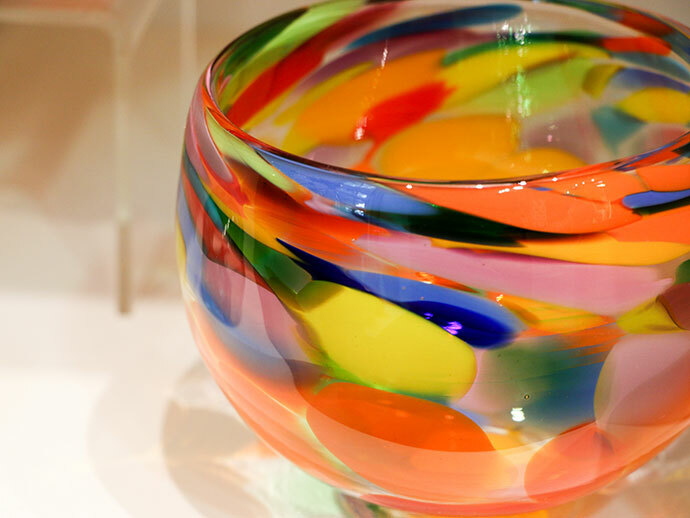 We loved visiting Eclectic Designs Glass Studio to watch how art glass was made, and enjoyed the book illustration exhibition at Blarney Books & Art. 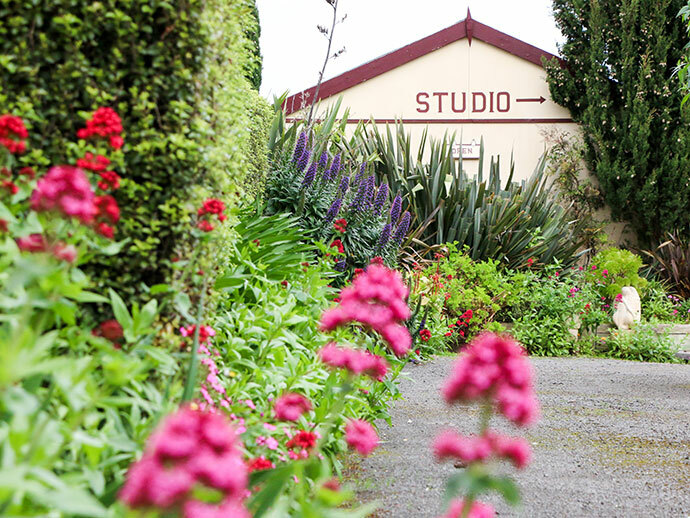 Many of the studios and galleries are located in historic homes set in beautiful well kept gardens, which were in full bloom during our Spring visit. 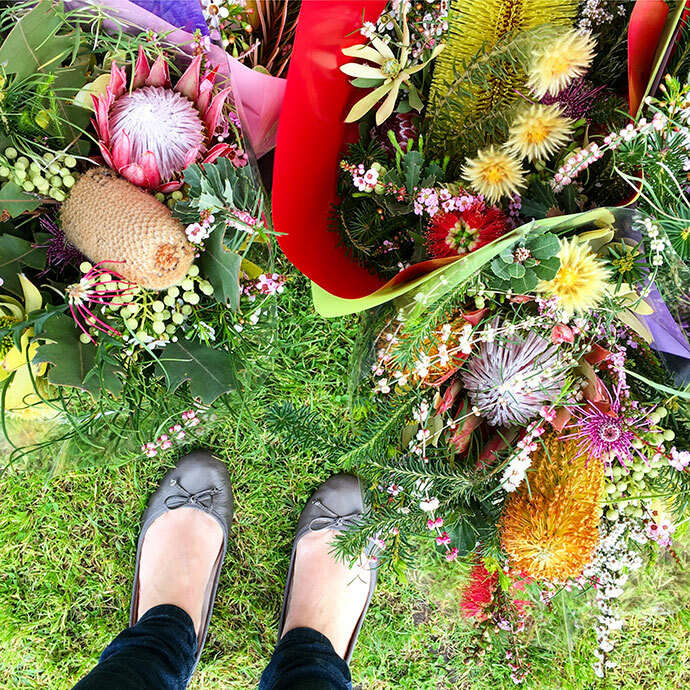 Nearly every Saturday you’ll find either the Port Fairy Farmers Market or the Community market located at railway place next to the Tourist Information Center. The Farmers Market has a focus on local produce, and if you are lucky the Bacon & Egg roll guy will be there so you can grab a quick breakfast as you browse the stalls. More details here. When you run out of things to do you can always hit the beach! In summer tourists flock to East Beach for the 5.8km of sand and surf, but if you are looking for a family friendly beach with shallow pools, Pea Soup is ideal. When the weather is cooler you can still enjoy some rock hopping and beach combing. Who knows what treasures you’ll find? They say the fabled shipwreck, The Mahogany Ship is hidden in the sand dunes to the east of the town. We enjoyed collecting shells and some cuttlefish bone for Nanna’s chooks. Oh I love port fairy area. I grew up near warrnambool area. I used to go camping as a kid in port fairy with my family and go to beach everyday as caravan park very short walk to the beach.